LG confirmed the name of their “next major smartphone” this morning through a post to their Korean social blog, announcing that it is indeed the V30. That is not a surprise, but hey, who doesn’t love a good early confirmation? Along with the name drop, LG made sure we knew that the V30 is the phone they revealed last week, the one that has the 6-inch POLED FullVision display with an 18:9 ratio and curved edges. It looks like this, in case you missed that leak. Additionally, LG said in today’s blog post that the V30 is “equipped with high-performance image capture,” a hint that this phone should be a serious camera champ contender. 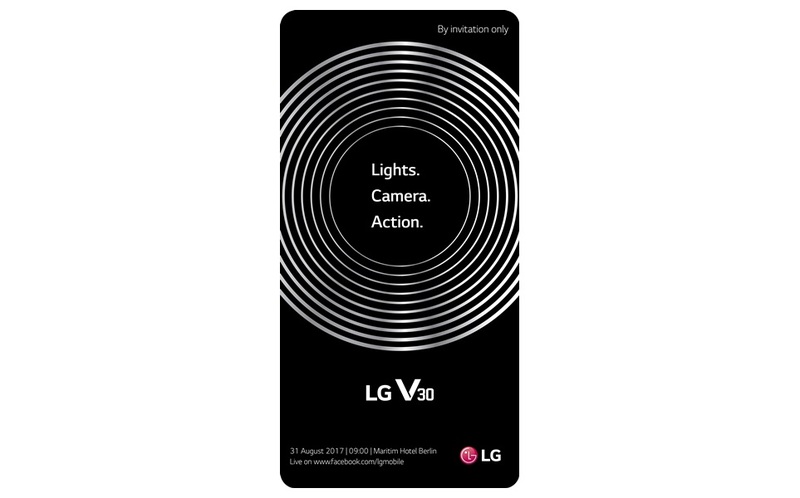 The invite for the August 31 unveiling of the V30 – pictured above – also shows a camera lens with the words “Lights. Camera. Action.” inside. LG V phones have always been big on media and that appears be the case once again with the V30.